When companies begin implementing multiple applications and other various programs, there will be countless of usernames and passwords that needs to be issued and managed. Rather than dealing with the burden of having multiple usernames and passwords, wouldn’t it be ideal to have to only worry about just one per user? 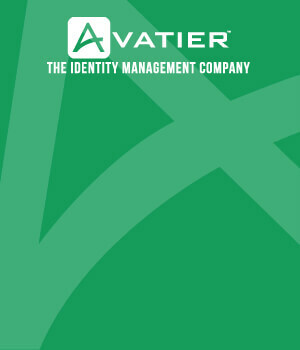 Avatier Single Sign-On provides a quick and easy solution to this problem as it will enable a one-click access to all used applications, eliminating the hassle of multiple log-ins and simplifying it all into one stress-free step. Having to remember multiple yet difficult passwords can get troublesome. However, users using Single Sign-On will only have to remember just one. This greatly reduces the chances of forgetting passwords and the need for unnecessary password resets. When companies apply strict password policies, simple tasks such as login processes can become quite tedious and often times much longer than needed. Having to remember only one password will give users the opportunity to allocate their time towards more important matters. A majority of security breaches involve privileged credentials, which make more information available to hackers than individual credentials. When you are taking the human component out of the loop of password security, ensuring that password requests are secure is a big concern. 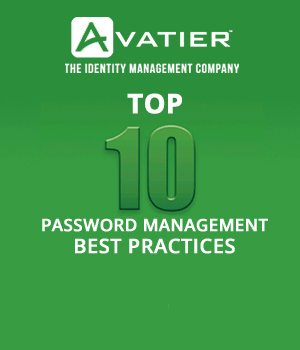 Solutions such as Avatier Password Station can put your mind at ease. It provides biometric authentication with facial recognition, voice detection, and fingerprint identification. Ultimately, this gives users a more customized experience enabling a much stronger protection against any cyber threats. When businesses have various different partners, implementing authentication and authorization can become somewhat complicated. Using Single Sign-On, businesses can centralize authentication management and grant users instant access to all shared applications. To learn more, please visit Avatier Single Sign-On.